This article was originally published on Sunday, 10 February 2019 at 16:17 SGT; it has since been updated to include items on Manulife US REIT, Olam, APAC Realty and Yoma Strategic. SIA Engineering reported on Friday that its fiscal third quarter net profit dropped 40.1 percent on-year to S$33.1 million, a decline of S$22.2 million, with S$20.9 million of the fall attributed to one-time events at associated and joint-venture companies. Manulife US REIT reported on Monday its fourth quarter net property income increased 38.4 percent on-year to US$25.49 million on the four office properties acquired in 2017 and 2018. Ascendas REIT said on Friday that it accepted the letter of offer from JTC Corp. for a 30-year leasehold interest in a one-north area land parcel, which will be developed into ride-hailing service Grab’s Singapore headquarters, for a land premium of around S$84.0 million. Olam International said on Monday that its indirect wholly owned subsidiary Queensland Cotton Corp. (QCC) divested its entire 51 percent stake in Australia-based Collymongle Ginning to PJ & PM Harris for A$4.08 million (S$3.93 million). In addition, wholly owned subsidiary Olam Argentina divested its entire holding in its wholly owned subsidiary, Argentina-based peanut shelling and blanching company Olam Alimentos, to Adecoagro for US$10 million (S$13.56 million), Olam said in a filing to SGX before the market open on Monday. The divestment is in line with Olam’s strategic plan, announced in January, to refocus its portfolio on proven businesses with market-leading positions. Read more about Olam here. UBS Group AG became a substantial shareholder of M1 when its deemed interest rose to 5.01 percent, above the 5 percent threshold, from 4.95 percent previously, it said in a filing to SGX after the market close on Friday. That was after the acquisition of 538,800 M1 shares for S$1.10 million, the filing said. Read more about M1 here. 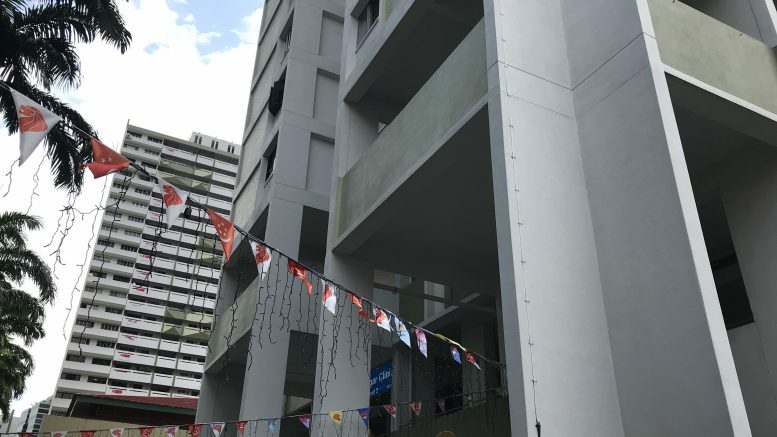 Home appliance and furniture retailer Courts Asia reported on Saturday a fiscal third quarter net loss of S$171,000, swinging from a year-earlier net profit of S$3.51 million, amid a drop in service charge income. Creative Technology’s wholly owned subsidiary ZiiLabs entered a deal with patent aggregator RPX Corp. to settle ZiiLabs’ patent-infringement lawsuits in the U.S., it said in a filing to SGX on Saturday. Iconic Singapore chili crab restaurateur No Signboard Holdings said on Friday that the company won’t bear the costs of its mishandled share buyback in late January. Yoma Strategic plans to acquire a 65 percent stake in Yankin Kyay Oh Group (YKKO), one of Myanmar’s largest restaurant chains, for around 19.4 billion Myanmar kyats, or around US$12.6 million (S$17.08 million), it said in a filing to SGX on Monday before the market open. APAC Realty, which holds exclusive ERA regional master franchise rights in 17 Asia Pacific countries, said on Monday it entered partnerships in Indonesia and Thailand to expand its presence, it said in a filing to SGX on Monday. Food Empire’s wholly owned subsidiary Future Enterprises has subscribed for 1.5 million shares in its wholly owned subsidiary FE Foods & Beverages Myanmar (FFBM) for US$1.5 million, it said in a filing to SGX after the market close on Friday. That brought FFBM’s share capital to US$2 million comprising 2 million ordinary shares, up from US$500,000 and 500,000 shares previously, it said. Read more about Food Empire here. Noble Group said on Saturday that “Old Noble,” or the pre-restructuring company, was ordered would up by the Supreme Court of Bermuda, with its provisional liquidator’s appointment continued. The move was expected as all of Old Noble’s businesses and assets have substantially been transferred to Noble Group Holdings, or “New Noble,” it said in a filing to SGX on Saturday. Read more about Noble Group here.